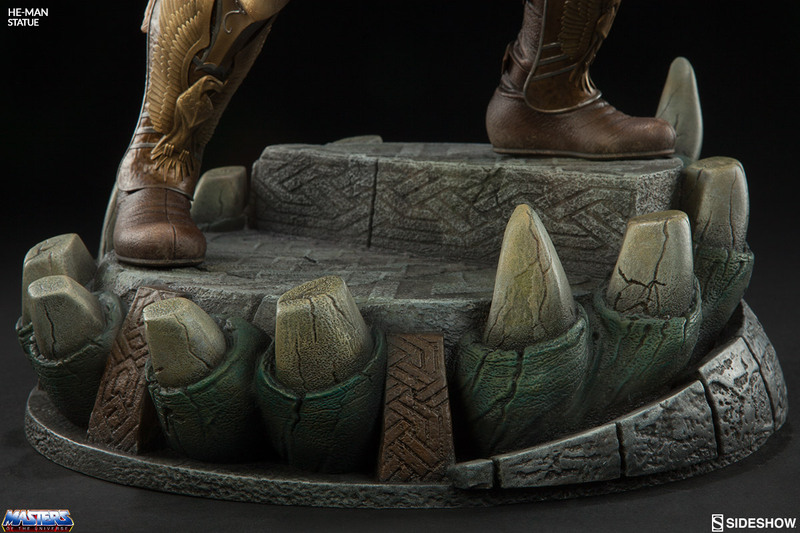 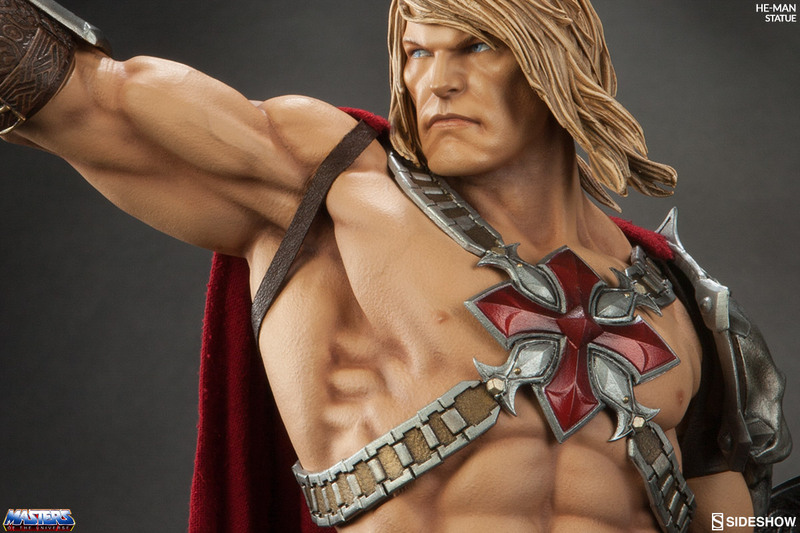 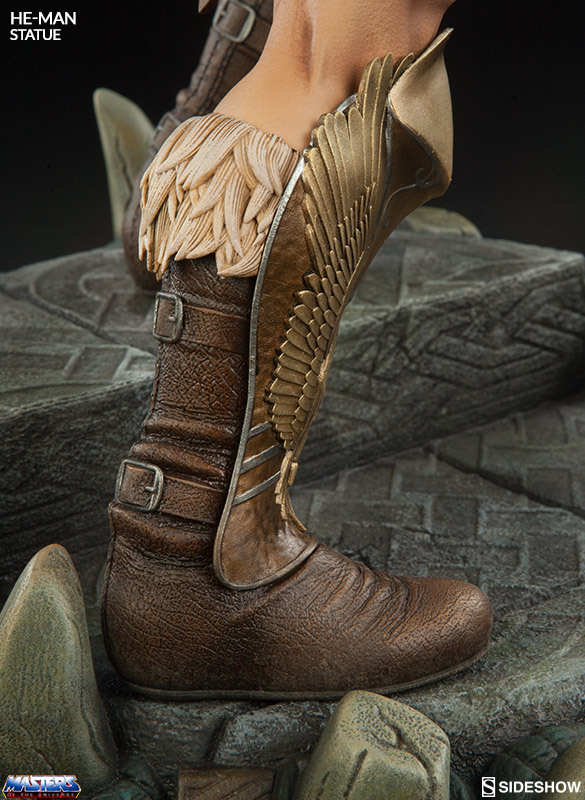 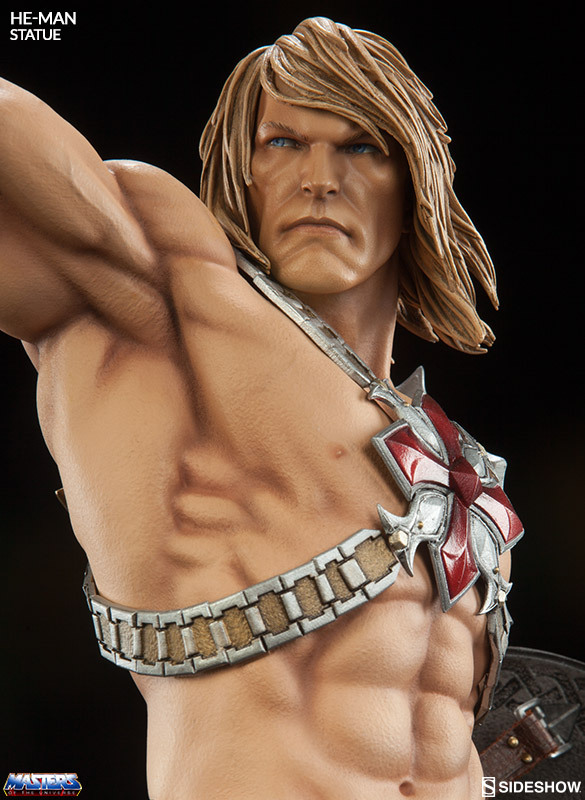 You’ll feel like a Master of the Universe every time you gaze upon the He-Man Statue. 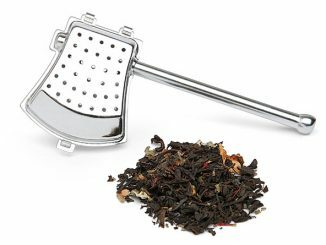 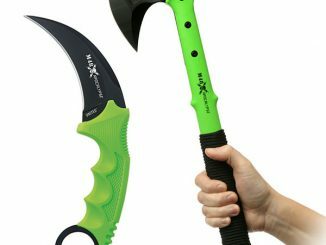 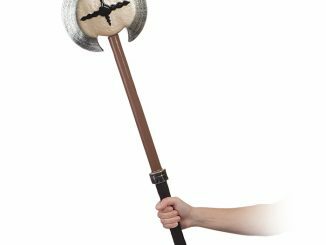 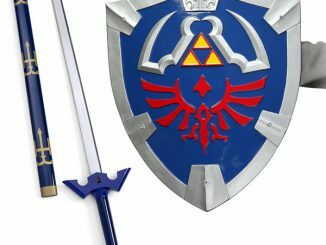 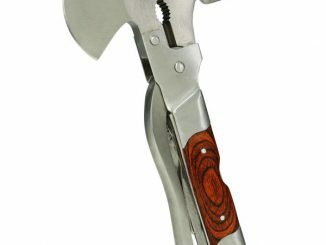 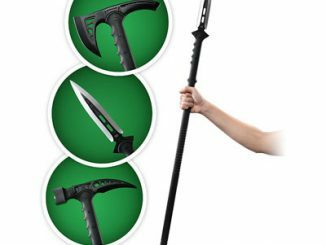 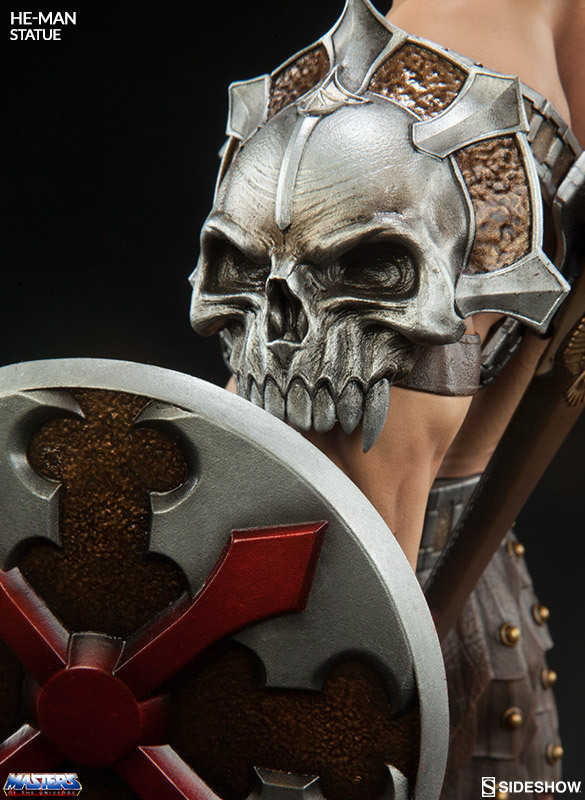 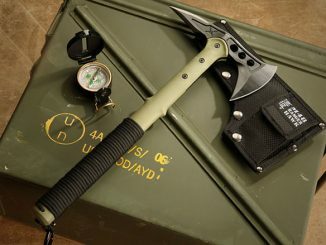 Are you worthy of wielding the power of Grayskull? 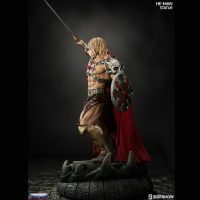 Inspired by the popular 80’s cartoon series and standing a powerful 23-inches tall, He-Man stands with shield and Power Sword at the ready, prepared to do battle with the evil Skeletor. 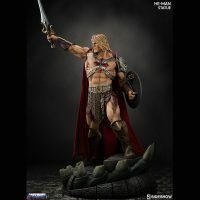 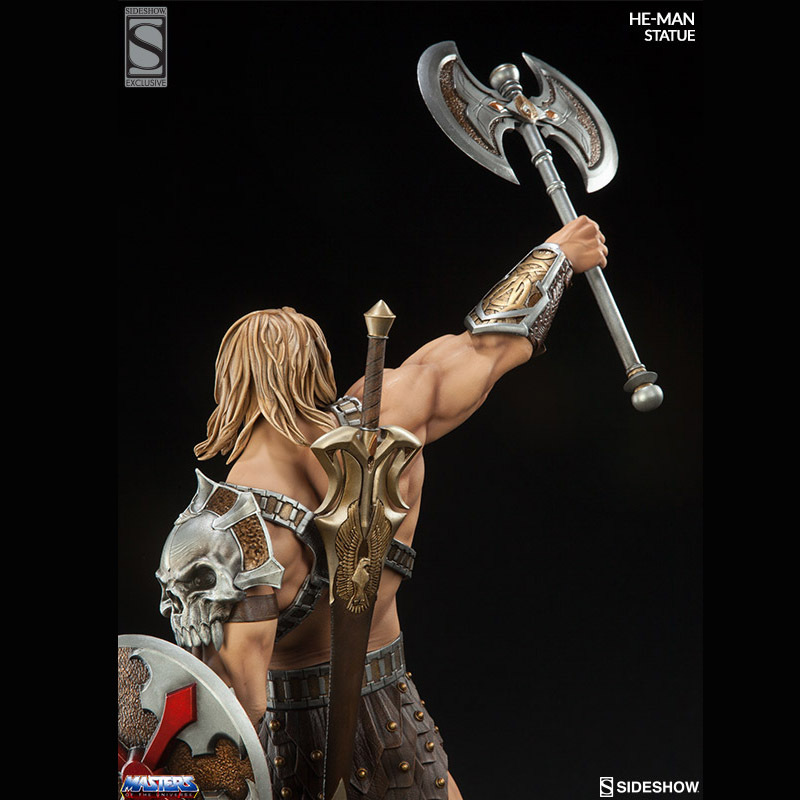 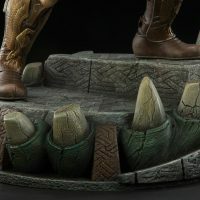 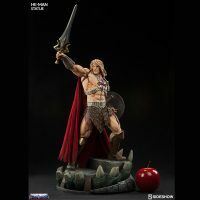 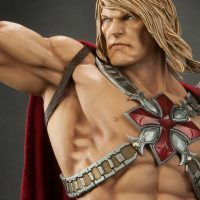 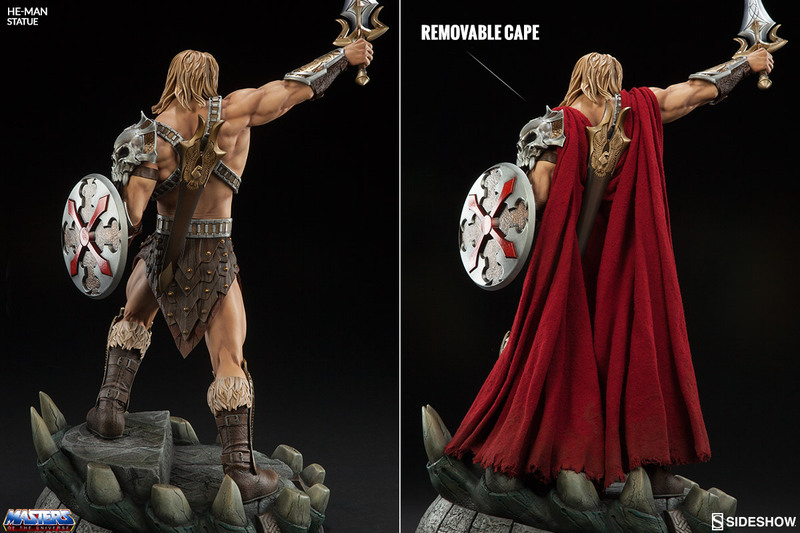 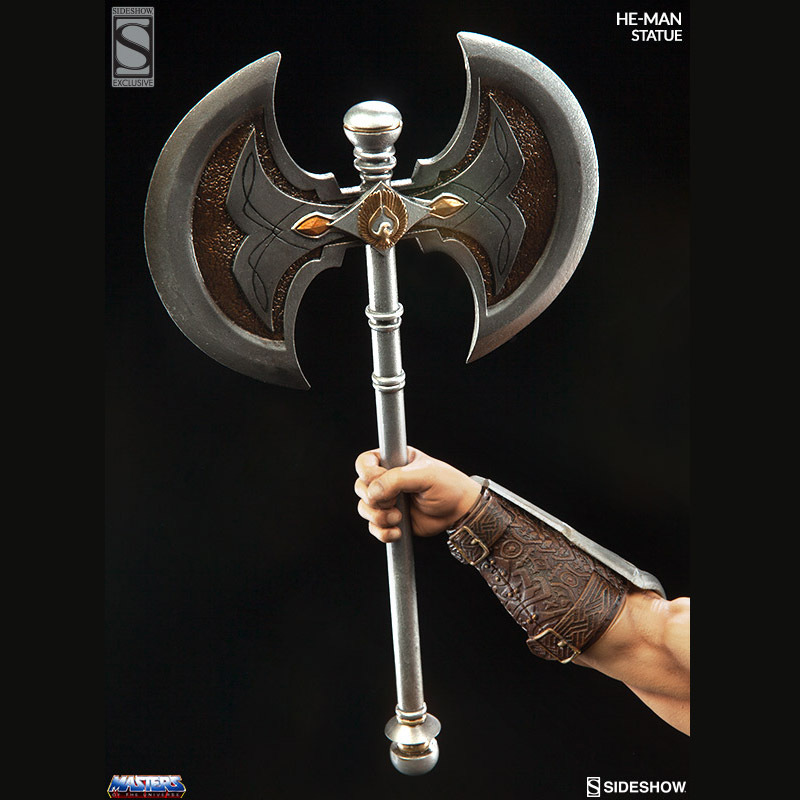 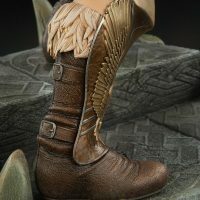 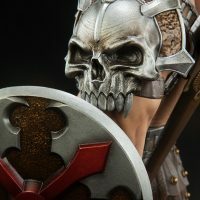 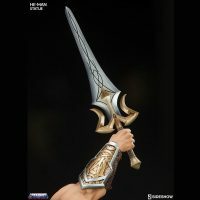 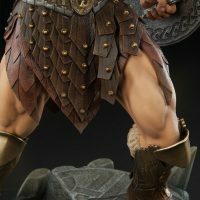 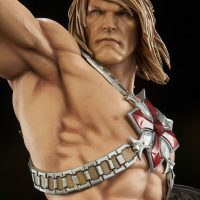 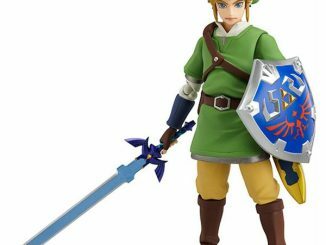 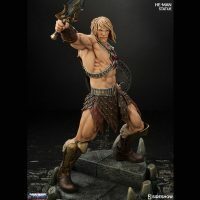 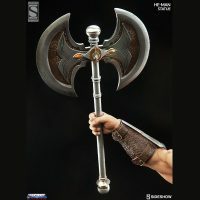 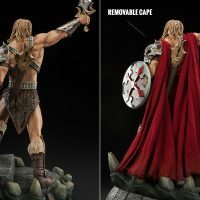 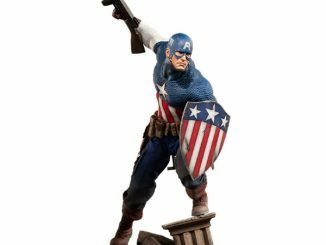 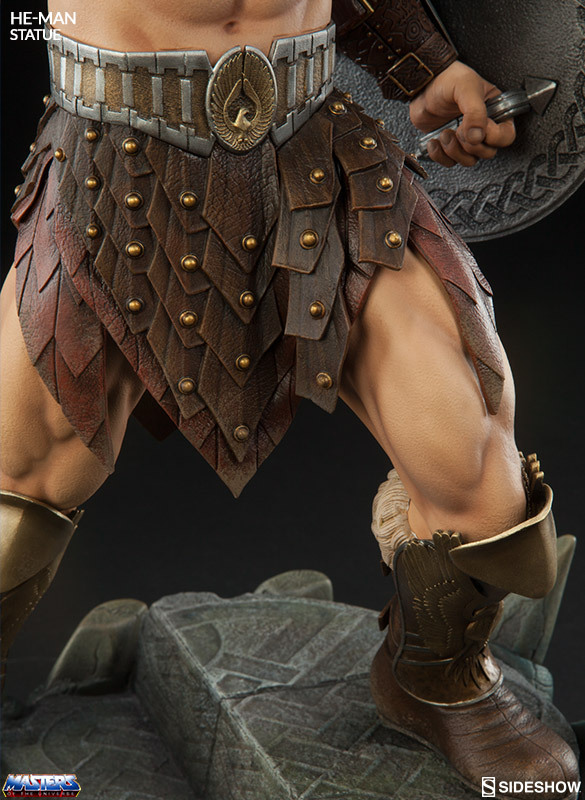 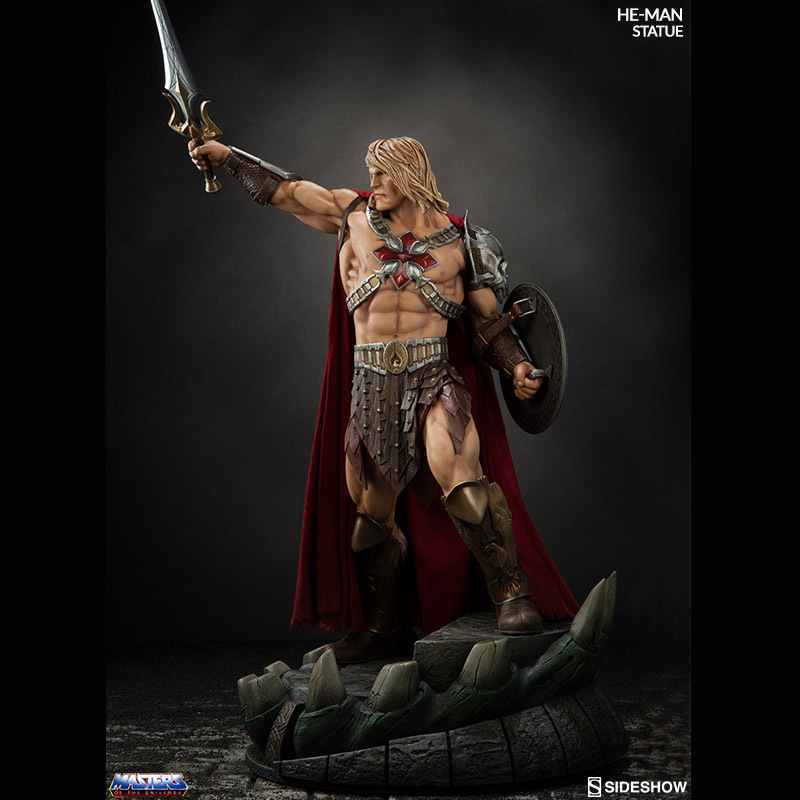 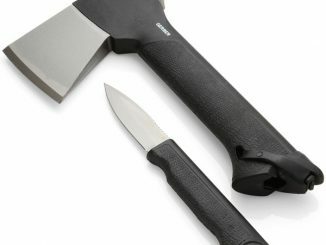 In addition to the shield, sword, and removable cloak, the figure also comes with an exclusive swap-out axe that recalls the days of He-Man defending Eternia before he possessed his iconic sword. 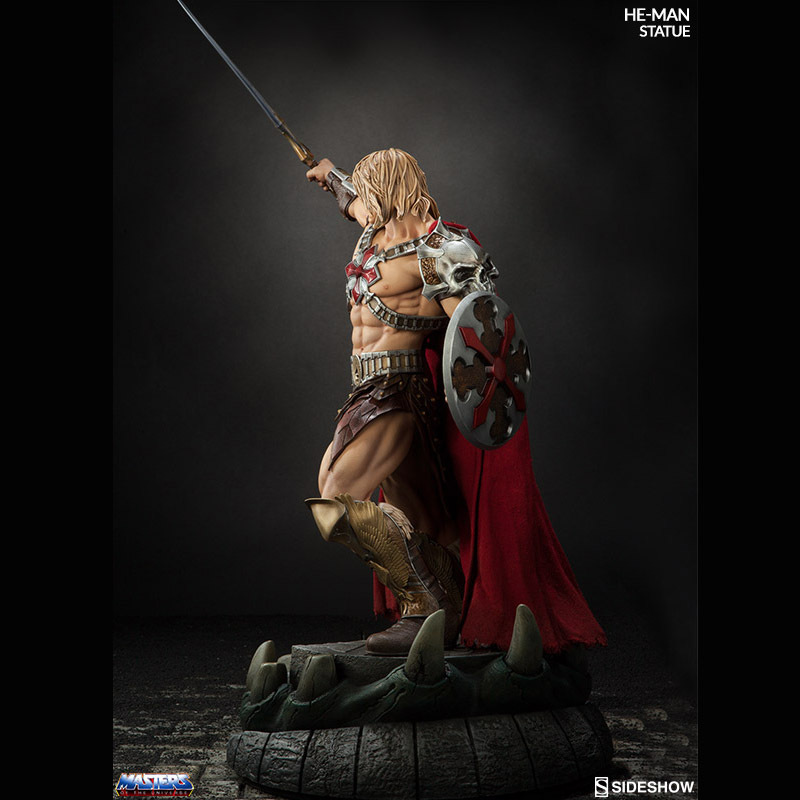 The He-Man Statue will be available Oct 2016 – Dec 2016 but it can be pre-ordered now for $399.99 at Sideshow Collectibles.